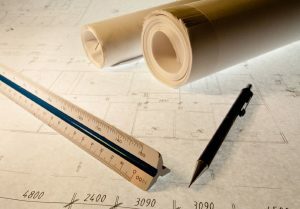 Are you a property owner or business entering the early stages of considering a new building, addition, or renovation? We can help you decide whether it will be worth it or whether it fits in your budget. Perhaps you’re an architect trying to make sure the designs you have in mind fit the budget of a client. We can help you land the job by looking at all the materials and labor needed to make your plans a reality. A wise man once said that you shouldn’t begin to build a tower until you count the cost. How do you do that if you don’t know where the first number even is? You ask us! 4JCon is your partner for the due diligence to put your building project on a path to financial, structural, and functional success before the shovel enters the dirt. We will sit down with you in the pre-building stage to help you determine the costs of one or more options for your expansion, renovation, or relocation. Everything is expensive in the Bay Area, and construction is no exception. However, with our years of experience in building in and around San Francisco, we can help you make adjustments along the way with suggestions on different materials, technologies, and techniques to save costs in one area or expand plans in another. Our long-term relationships with subcontractors can help you as well. We know which companies do the best job for the best price, saving you time and money in the end. If you come for the budgeting and estimating services, you might stay for our construction management or general contracting services, but let us prove our worth to you first. Call us today at 530-588-9366 and tell us a little bit about what you would like to do!